Remember earlier this year when I went out to the desert of New Mexico to join Director Zak Penn and get to the bottom of the legend of the ET Atari cartridges being buried? 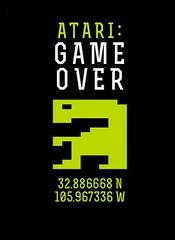 The full story can now be told in the form of “Atari: Game Over” now available for free on Xbox 360, Xbox One and Xbox Video. It’s free and available right now, so let me know what you think after you watch it.